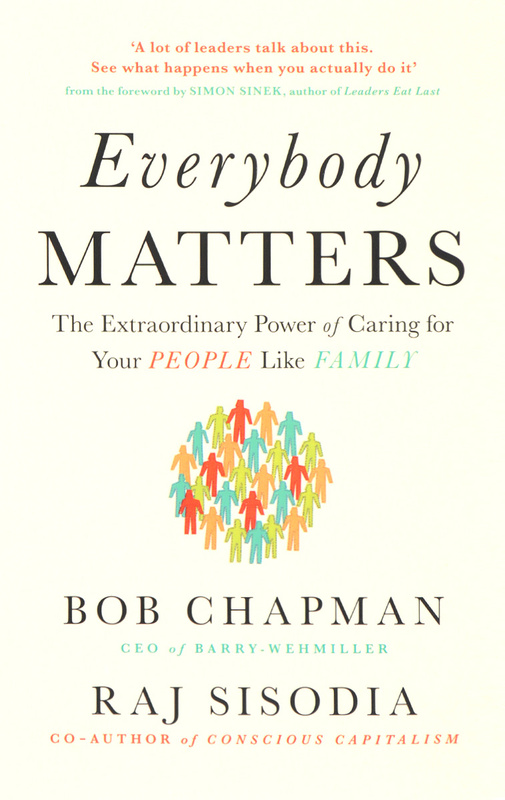 Описание: Starting in 1997, Bob Chapman and Barry-Wehmiller have pioneered a dramatically different approach to leadership that creates off-the-charts morale, loyalty, creativity, and business performance. The company utterly rejects the idea that employees are simply functions, to be moved around, "managed" with carrots and sticks, or discarded at will. Instead, Barry-Wehmiller manifests the reality that every single person matters, just like in a family. That's not a cliche on a mission statement; it's the bedrock of the company's success.During tough times a family pulls together, makes sacrifices together, and endures short-term pain together. If a parent loses his or her job, a family doesn't lay off one of the kids. That’s the approach Barry-Wehmiller took when the Great Recession caused revenue to plunge for more than a year. Instead of mass layoffs, they found creative and caring ways to cut costs, such as asking team members to take a month of unpaid leave. As a result, Barry-Wehmiller emerged from the downturn with higher employee morale than ever before.It's natural to be skeptical when you first hear about this approach. Every time Barry-Wehmiller acquires a company that relied on traditional management practices, the new team members are skeptical too. But they soon learn what it's like to work at an exceptional workplace where the goal is for everyone to feel trusted and cared for-and where it's expected that they will justify that trust by caring for each other and putting the common good first.Chapman and coauthor Raj Sisodia show how any organization can reject the traumatic consequences of rolling layoffs, dehumanizing rules, and hypercompetitive cultures. Once you stop treating people like functions or costs, disengaged workers begin to share their gifts and talents toward a shared future. Uninspired workers stop feeling that their jobs have no meaning. Frustrated workers stop taking their bad days out on their spouses and kids. And everyone stops counting the minutes until it's time to go home.This book chronicles Chapman's journey to find his true calling, going behind the scenes as his team tackles real-world challenges with caring, empathy, and inspiration. It also provides clear steps to transform your own workplace, whether you lead two people or two hundred thousand. While the Barry-Wehmiller way isn't easy, it is simple. As the authors put it.